To make the topping, lightly rub the butter into flour and sugar until crumbly. 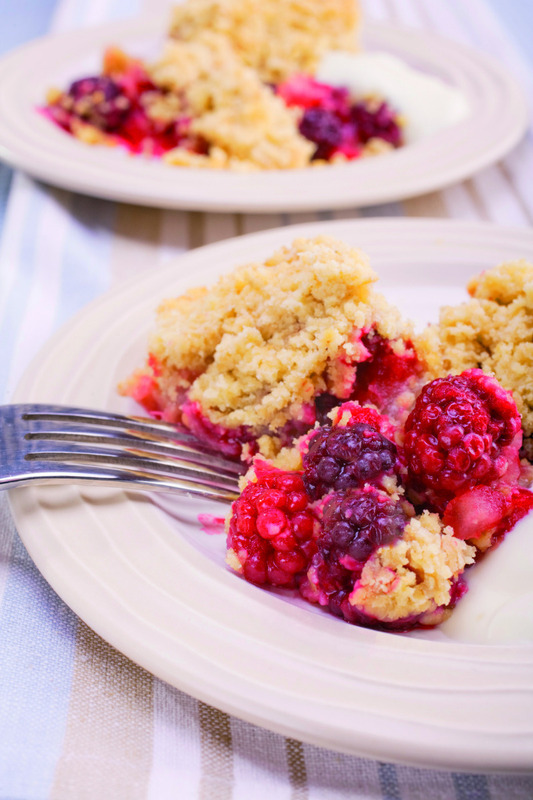 Put the apple and blackberry mix into a shallow, oval ovenproof dish. Sprinkle crumble mix over top until all fruit is covered. Place in the oven for 20 – 30 minutes or until light golden brown.